We are getting increasingly addicted to e-mail marketing to promote our products. No doubt, net marketing is a modernized and the easiest way of promoting one’s products or services. As the popularity of the social networking sites is booming with every passing day, campaigning through net is becoming a gripping idea for the businessmen. Still, the printed catalog has been able to hold its own charm to both the customers and entrepreneurs. Many are in favor of using both the print media and net to advertise the superlative quality and affordable prices of their merchandises. Your catalog is an effective channel to launch the new products and getting the new customers introduced to an array of items on sale. Catalog is a useful print material to showcase your products along with their in-depth descriptions and eye-catching visuals. From designing to getting the catalogs printed are obviously not the child’s play but once you are done with the job, you will be amazed at the expectation-exceeding ‘sales figure’. It is not that you will experience the magic instantly but gradually get rewarding return on your investment. A production unit has several divisions that collaboratively help in creating hype about the products. If the focus is on quality and keeping the price tags reasonable to approach the sales goal, advertising is not a minor driver behind pushing up the profit margin. Even the net savvy persons take fancy in flipping through the pages of the printed catalogs to glance over the products on offer. Whether you are a newbie in the business arena or an established professional, an arresting catalog is a medium with the strong emphasis on quality, affordability and quick delivery to give out the handy information about your products and win the hearts of the customers. The brief but informative details with the compelling images of a wide breadth of the products pique the interest of the consumers. A properly designed catalog is not only a helpful medium to extend the profit margin but also a reflection of your inner sense and eye for creativity. The dream of reaching out to a large section of the consumers can only be materialized by adopting an effective marketing strategy. Catalog is an innovative and convenient tool for such marketing campaigns. It is extensively used by businessmen to promote their products. Needless to say, the arresting design of a catalog has a finger in the pie of securing maximum return on investment. An entrepreneur always eyes on stretching the profit margin. The actualization of such a dream depends on the perfection of service to the customers. Catalog is a medium to advertise the range and rates of products and services on sale. Every aspect of catalogs from designing to printing needs to be done in the perfect fashion. In a nutshell, the entire gamut of a catalog printing project should be well planned. As it will consume a great deal of time from initial sketching to final framework, so the project should be started earlier. A catalog must not look clumsy and should not be crammed with unnecessary details. An arresting catalog must touch upon the brief yet precise description of each of the products along with their pictures. The language should be simple and the font size of the letters should provide enough readability. Perfect finishing is one of the must-have attribute of an eye-catching catalog. An impeccable finishing touch hinges upon several factors. same sites The design of the catalog, its size and format, the quality of both the printing paper and ink are the important factors to be considered while giving the finishing touch to a project. An aesthetically designed catalog has all the potentialities to expand the customer base by converting the viewers into regular customers. When it comes to designing and printing catalogues, ‘Excaliber printing’ is the undisputed king in the printing world. With high quality printing, awesome finishing and jaw-dropping low printing prices, it has stepped far ahead of its rivals. If you wish to give a facelift to your catalog, the ‘Excaliber printing’ is the only direction to move forward. Catalog is an effective marketing tool to introduce products or services on offer by businessmen to their customers. It is a professional way to keep the consumers updated about the products and their fluctuating prices. A businessman always has an eye for expansion and it is only possible when the product he deals in reaches out to the targeted customers and fetches more business leads. A catalog should be not only informative in read but also captivating in look. Excaliber Printing, a leading print house is better aware of your business objectives and marketing efforts for having a professional catalogue. Our high-tech printers and top-notch service are capable of printing deliver cutting-edge and colorful catalogs to take you closer to your goal. The top-tier printing machine is able to print the four full colors at a go. The printer uses a simple technique of overlaying each of the colors in the CMYK group producing the super brilliant effect on the catalogs. When it comes to delivering excellent performance, we are second to none. We value your precious time and that is why our printer can spurt out multiple printed pages at once. It is time-saving as well as economical for you. You will obviously want to get a huge bulk of pages printed but not be willing to wait longer. You do not have to do so too as it will just take less than an hour to get the whole work done. Our strength lies in quality of our service and our reputation rests on our reliability. We do not like to overlook the criteria of the clients’ affordability but at the same time take care of keeping the quality intact. Affordable rate and top-notch quality are what can best define our service. We provide facility to our existing as well as would-be customers to have estimation of the total printing cost subject to their choices to be entered into the specified boxes. We have a group of very experienced and qualified printing specialists who can patiently listen to any sort of queries of the customers and solve them. You can always contact us at the provided number and get advice from our experts. Your dreams will get translated into awesome prints by means of our efforts. If a product catalogue is supposed to drive sales, it must look good. Everything associated with a business should have a professional aura. So is a product catalogue. A design itself does not make sales. what is a cloud . The proper arrangement of products in a catalogue with lots of white space between the rows makes the catalogue presentable and saleable. get quality backlinks . A product catalogue’s objective is to fetch customers, get orders and generate sales. Only a professionally, properly and perfectly designed catalogue can do miracles. Outlining the product pictures is an important detail of catalogue design. Add some design element to the outline to fetch attention to the products. Choose an artistic border to circumference the product pictures. 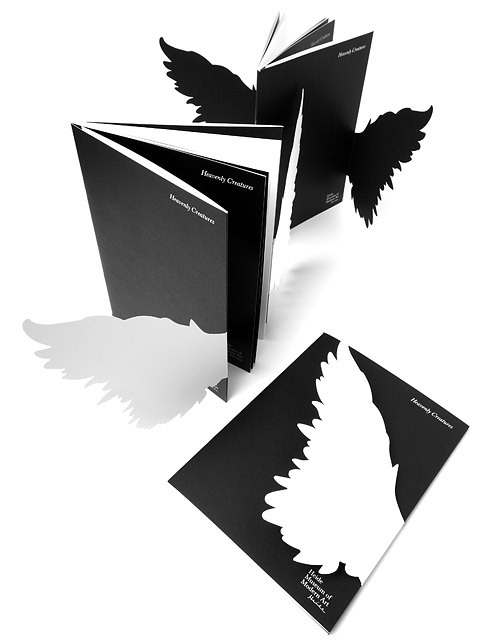 If possible, attribute a 3D effect to the look of the products in the catalogue. Product pictures popping off the catalogue pages steal the show with the viewers. It lets the catalogue sell the products on your behalf. Using drop shadows under the pictures will make a 3D effect. The image of the catalogue is an impression of your business on consumers. Don’t make a dog’s breakfast of the catalogue by placing some irrelevant picture in the background. It will rather mar the sale without selling anything. It will distract the buyer’s attention from the product page. Keep the background of the catalogue pages black and white save the product pictures. Colorful pictures in the black & white background seem to be popping off the pages. Keep in mind; you are going to sell not the catalogue but your products. Therefore, not design but products should be the highlight of the catalogue. Design and color are the elements to highlight your products. If design is the first thing to grab the viewer’s attention, it is no wrong to say that the catalogue is selling designs. Re-work the catalogue to make the product pictures grab eyeballs. Adding to the salability of a catalogue is a motivating description on each of the products. The pithy and punchy product descriptions throughout the pages motivate the viewers to turn up as potential customers. Showing products in use is a powerful boost to the sale of the products. A professional catalogue brings products to life. Last but not the least; catalogue printing is similarly important as catalogue content and design. Make sure to have your catalogue printed with the application of a most advanced printing technology. If the product pictures appear to have lost their shine in the printed version of the catalogue, it will be as dead as dodo. The look of a catalogue means much to a business. The perfect and professional product catalogue is a standout highlight of the business’s name and fame in the market. Product catalogues are designed to promote the merchandise of a retail store. Product catalogues are designed as a means of advertising a store and its merchandise among the customers. They are handed over to the customers on visit to the store and emailed to the clients. 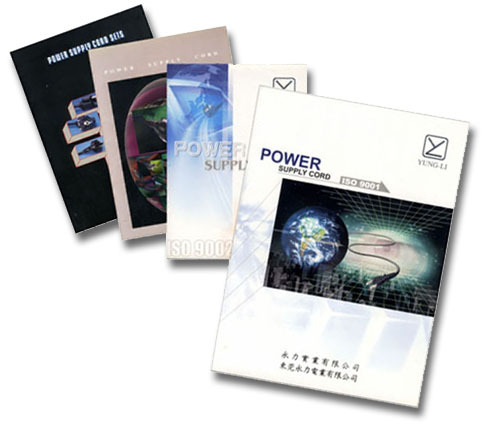 Therefore, the popularity of catalogue printing service is at its peak. Determine the catalogue type depending on the types of products that a company or store deals in. Identify each product and categorize it in accordance with its type. Distinct categorization of products in a catalogue is a key to the professional image of the company. The quality pictures of products add to the visual dimensions of a product catalogue. Click photograph of each product in the properly lit environ. It is better to photograph the items against an attractive setting or a blank background. It is a clicking idea to create different settings for different products. Assess the quality of the product pictures. Add some textual content to the photographic presentation of your products in the catalogue. Introduce the items through pithy and punchy descriptions focusing on their features, pricing and other details. If there are instructions regarding the use of a particular product, include the user instructions to the description. It will highlight the illustrative aspect of the product catalogue. Arrange the product categories and pages in the catalogue using a page layout software program like QuarkXpress, InDesign or Corel Venture. Experiment with variations in designing the product pages and outlining the product descriptions. Sophistication in guise of simplicity is a professional highpoint of a product catalogue. Obtain quotes from several catalog printing houses. Printing catalogue estimate varies with different levels of paper quality and design. You are currently browsing the Excaliber Printing Blog blog archives for July, 2010.